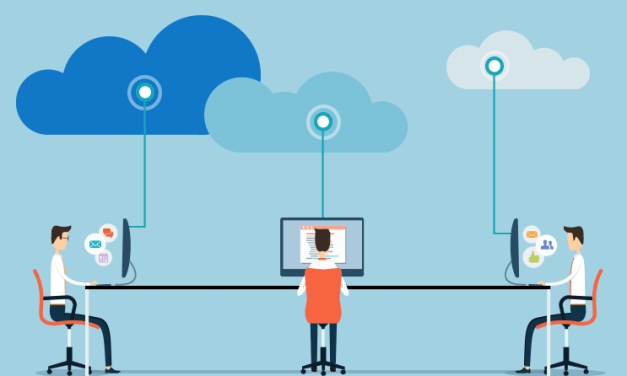 How CRM and Cloud Technology is integrated? Cloud integration is distinctive, trendiest and emerging field of software business presently. Being complex, the platform provides creating own and unique tactics to application programming interfaces (API’s). Cloud based CRM implies any CRM technology where the software, tools and the customer’s data that exist in the cloud is presented to end-users through the internet i.e. cloud computing. Cloud system assist CRM technology in integrating data from various sources. CRM in cloud integration includes incorporation of data from office applications, emails system, integration with social data and programmed data backups. Cloud based CRM are considered to be tractable with growing ability that facilitates a business to level up or down the Customer Relation Management, varying according to the business needs. There are certain strategies that should be considered for implementing CRM. These are essential on to know how organizations can attain and succeed for gaining an ideal customer base. Customers increase, trend changes, strategies alter therefore marketing strategies and technology also should. Cloud CRM systems should be flexible and tractable while collecting data and analyzing data. Retrieve Customer’s Data: One of the advantages of cloud storage is accessing from anywhere. As the nature of cloud-based technology is associated with logging in from anywhere with internet, it is ease to access the account. These servers are supportive when there is last moment calls or winding up of sales from a distant locality. Increase Managerial Function: Leads are the most essential stuff in a business, no business can exist or can see growth without leads. At least for the sake of survival; an enterprise should generate a minimum number of leads. It’s vitally necessary to keep the track of sources from where leads have been generated; this could assist the sales team to retarget the clients or to focus on those vital sources that have brought leads. Smart Reports: To increase sales, smart reporting is important. The purpose of cloud sales platforms is that they are also a powerful tool for Server Message Block (SMBs), producing livelier, quicker, instantaneous reports. Relying on daily, monthly and yearly reports is painstaking. Cloud centered reports are certain and secured which is persistently presented and are accessible in real time to relevant parties. High Data Backup: While a company stores an enormous volume of private and confidential data within CRM system, a main factor is to be certain that the data has a backup in other places. An external data storage which is also called as data warehouses are relevant, secured, and provides good frequency. Cloud based CRM software also pays attention of considering the backup course of action and typically has a recovering method in case the data was misplaced or omitted. Xobber’s cloud based system has real-time data that assist sales team in the office as well as in the field through various devices that connects to the Internet. The trade-off of such system is conveniently available. Cloud system facilitates in acquisition or access to customer’s information which assist in solving compatibility issues.